Super Drilling Pvt. Ltd. - Destructive Rock Drilling We have carried out Destructive Rock Drilling in all type of rock strata upto 400mm dia. We are well-equipped to carry out these works. The list of major projects is listed below: Drilling for the curtain grouting, consolidated grouting at penstock tunnel for Koldam Hydro Electric Power Project, Koldam, H.P.Drilling of 300mm dia in overburden at Teesta Stage-V.Drilling of 400 mm vertical hole for pendulum installation at Koldam, H.P. We have carried out Destructive Rock Drilling in all type of rock strata upto 400mm dia. We are well-equipped to carry out these works. Drilling for the curtain grouting, consolidated grouting at penstock tunnel for Koldam Hydro Electric Power Project, Koldam, H.P. 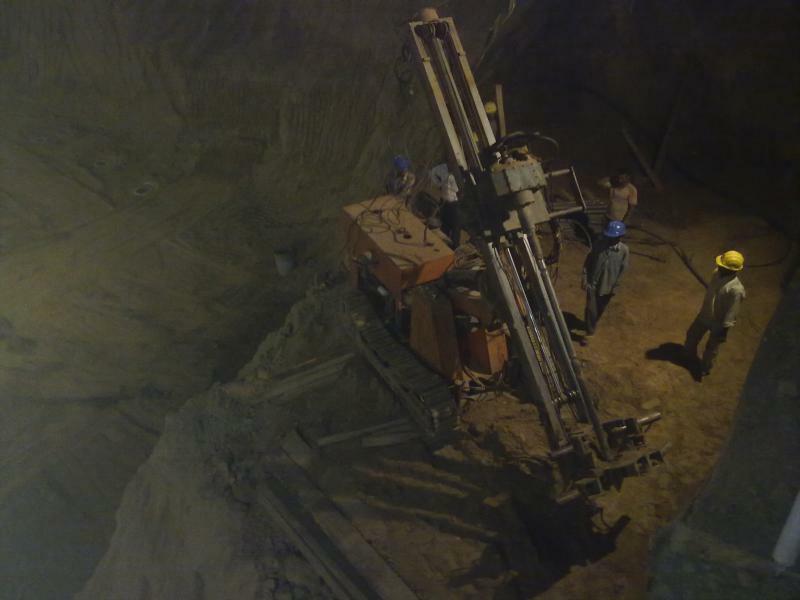 Drilling of 300mm dia in overburden at Teesta Stage-V.
Drilling of 400 mm vertical hole for pendulum installation at Koldam, H.P.